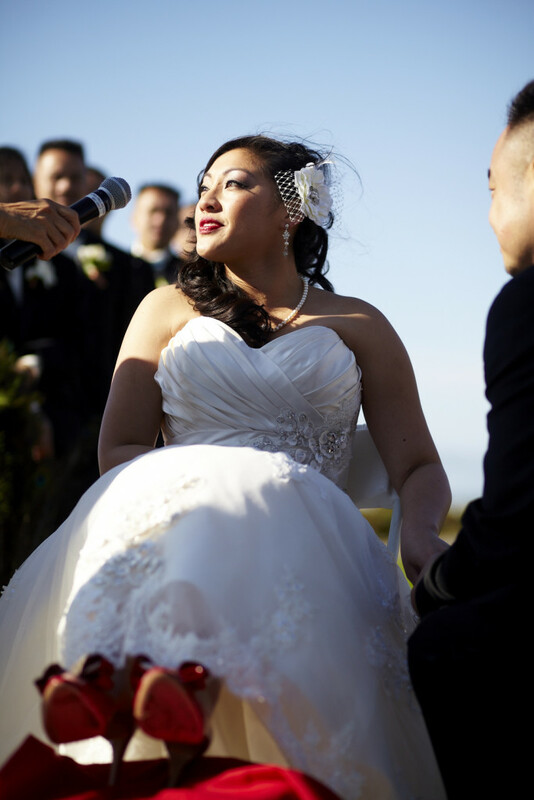 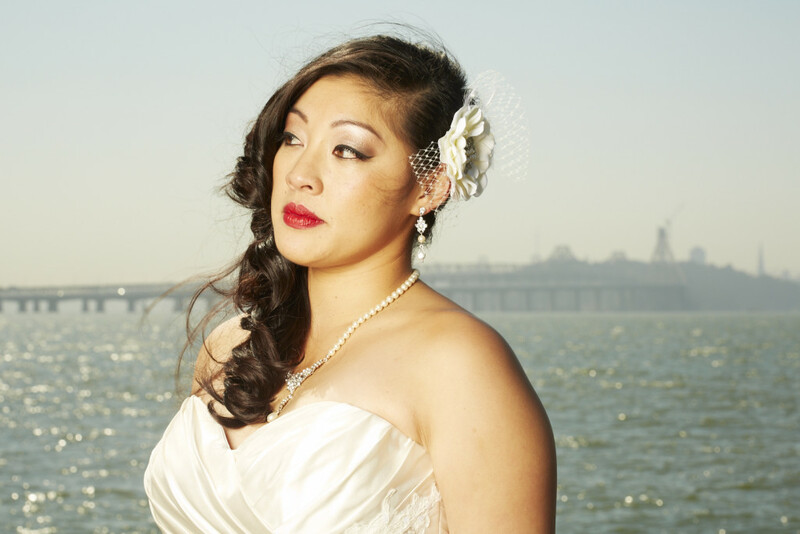 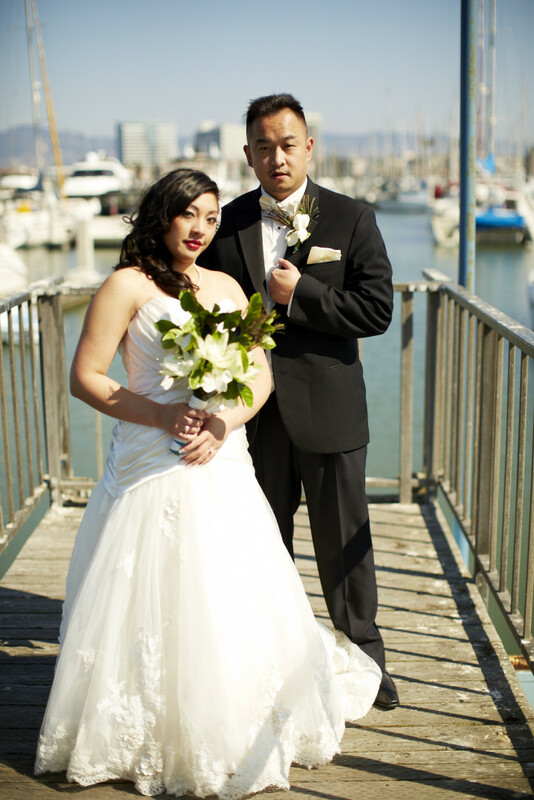 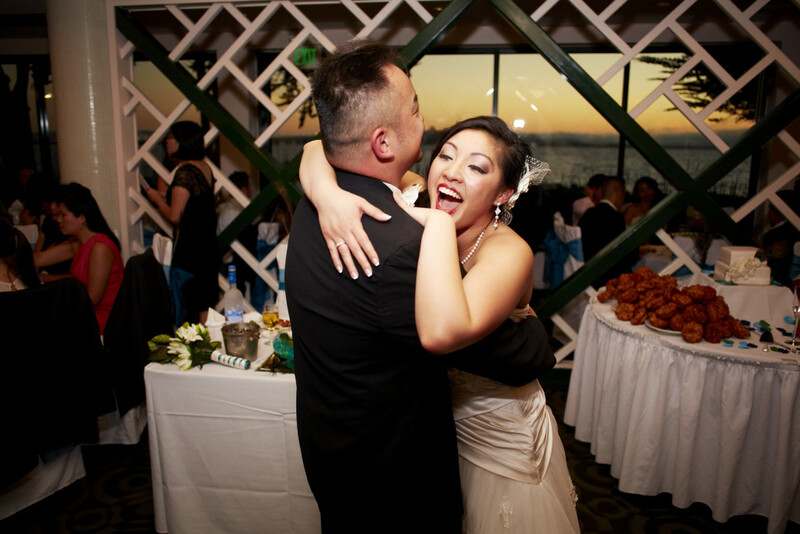 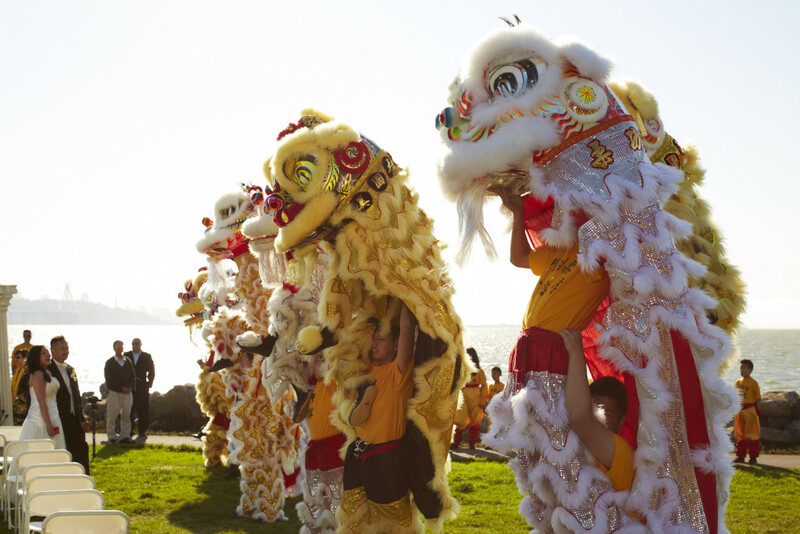 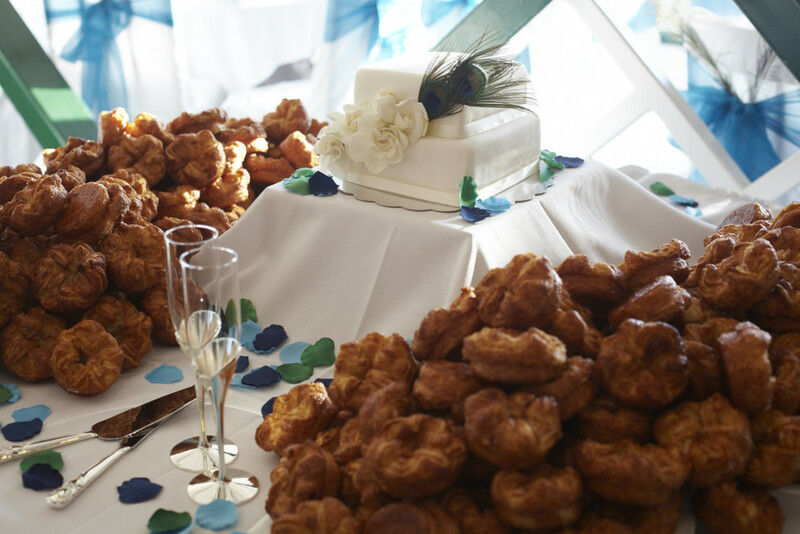 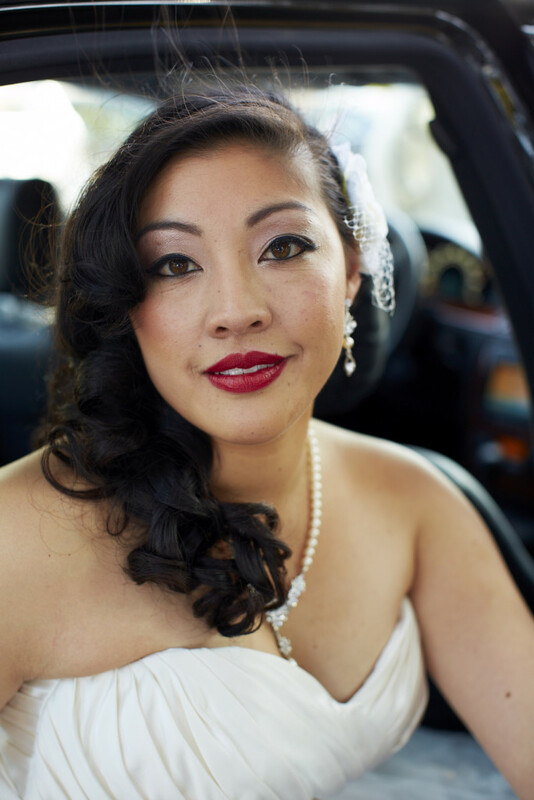 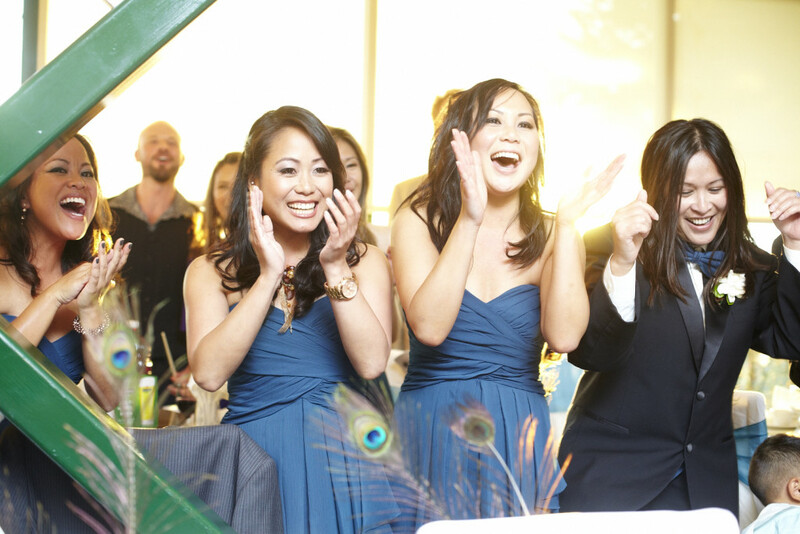 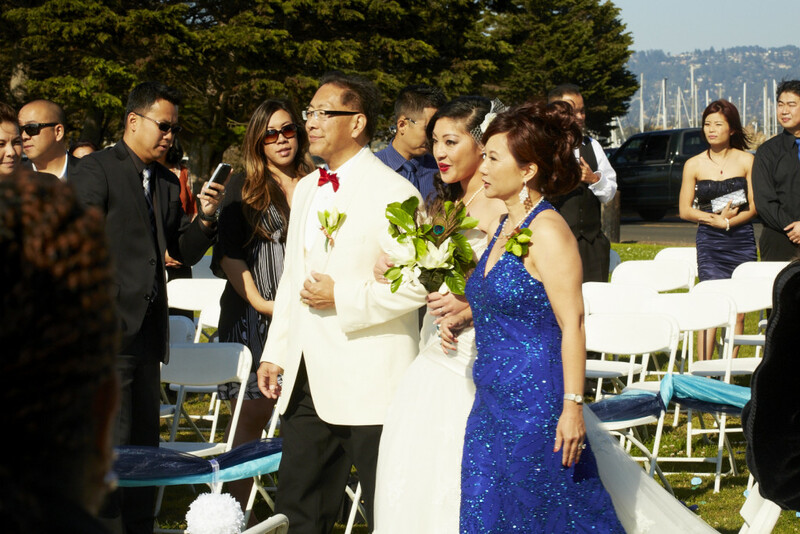 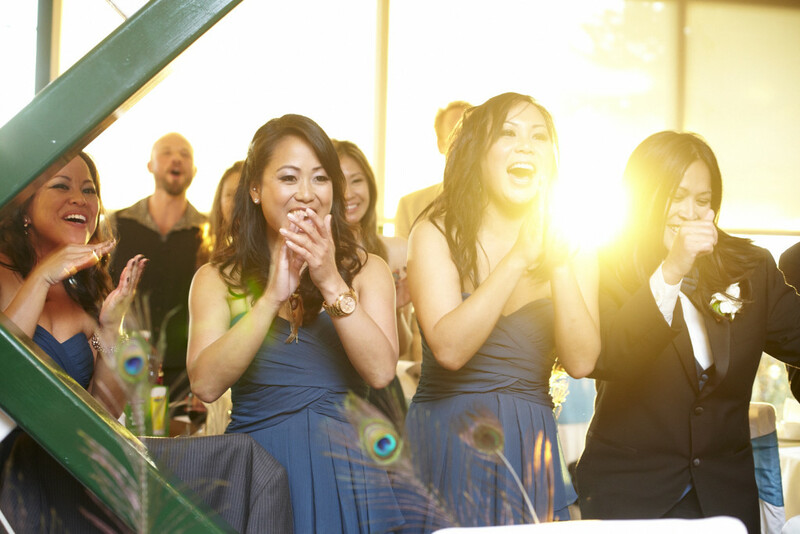 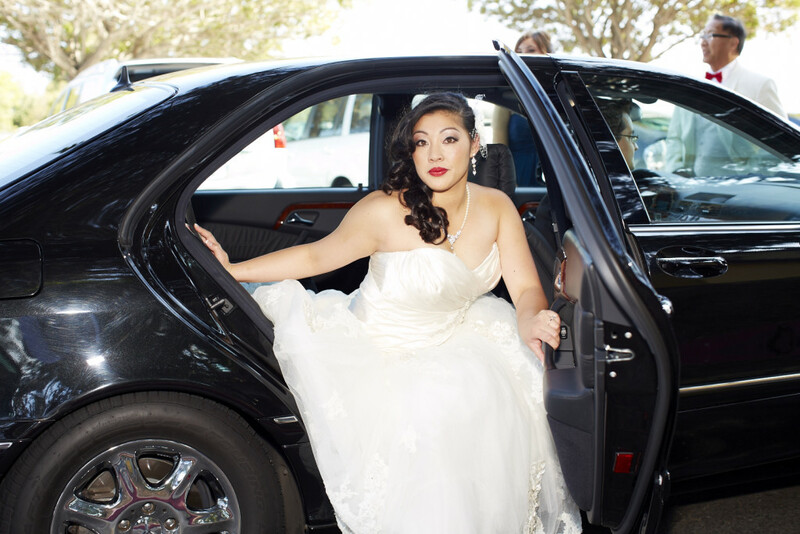 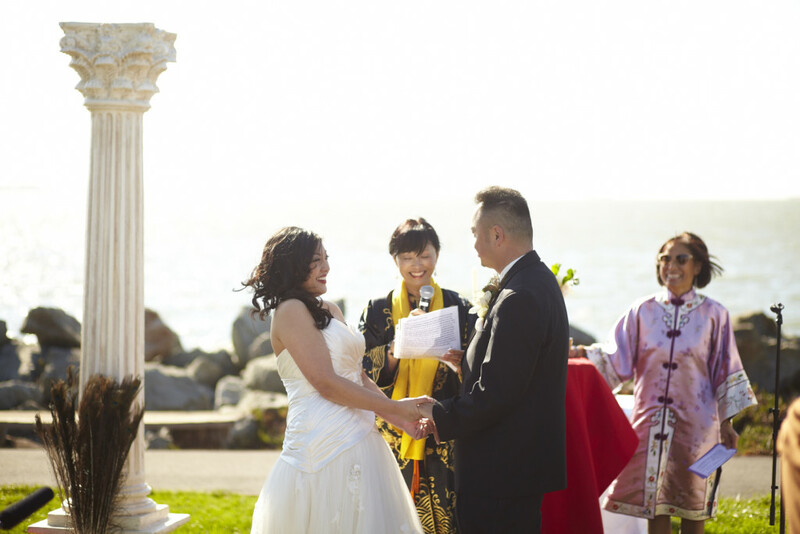 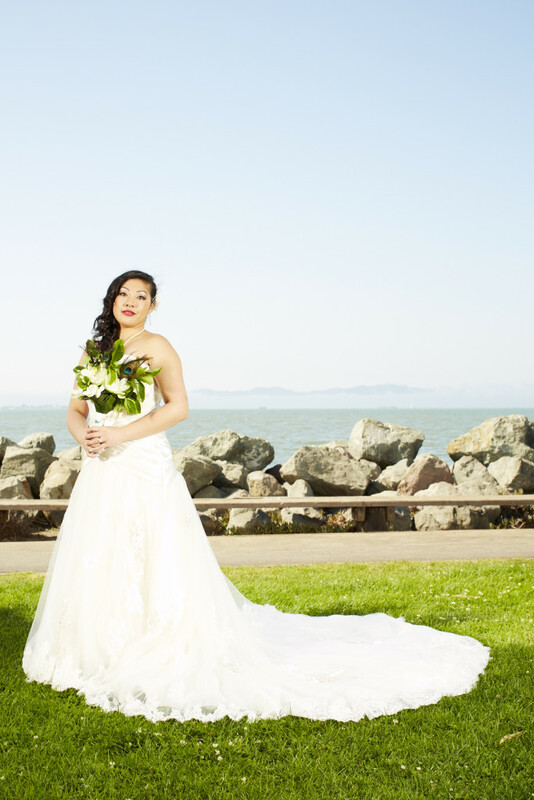 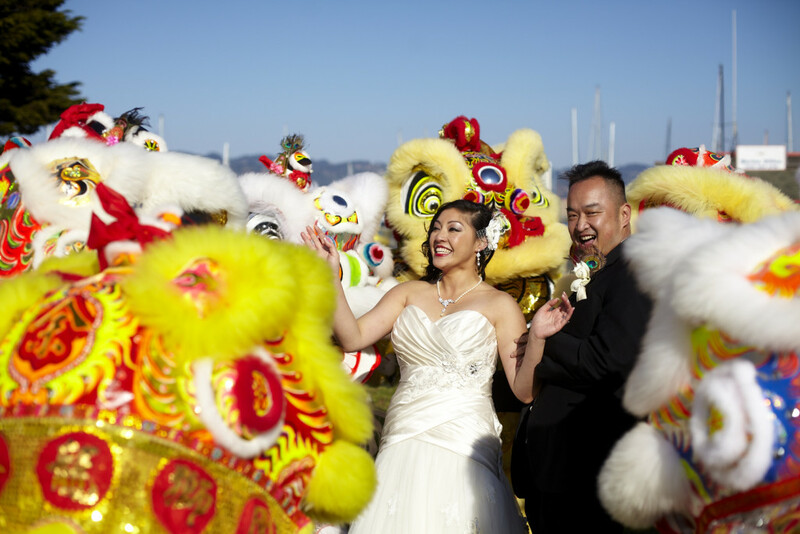 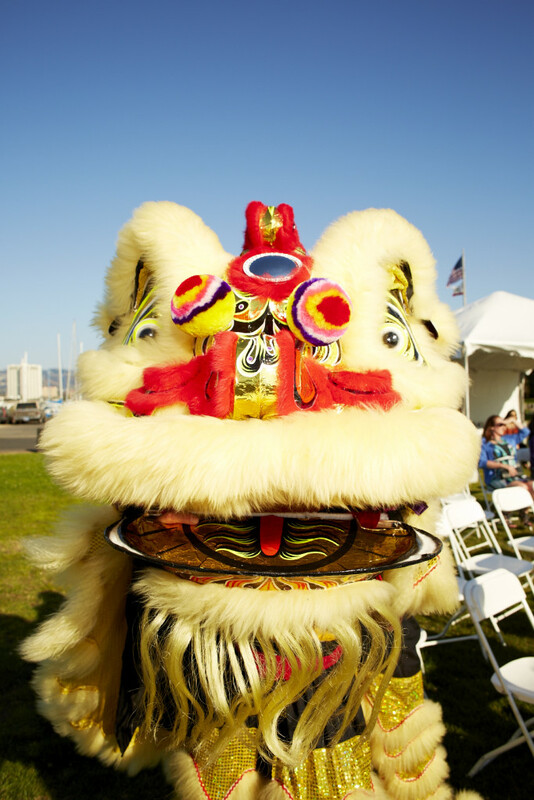 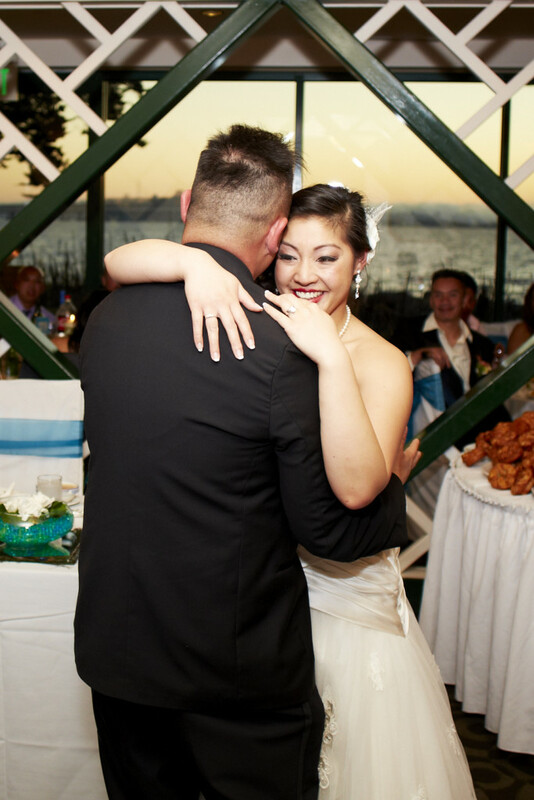 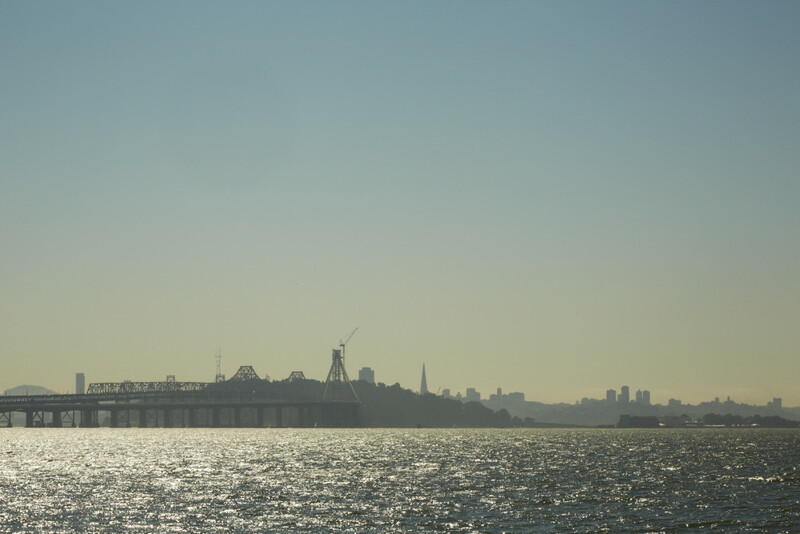 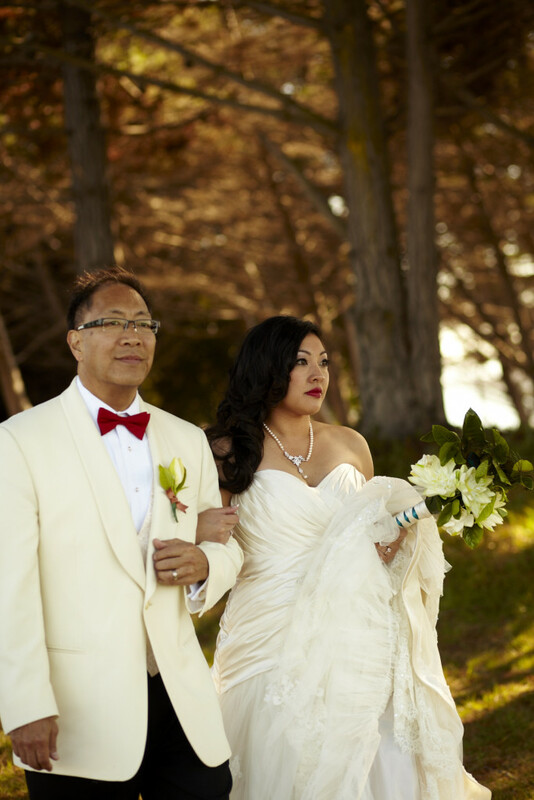 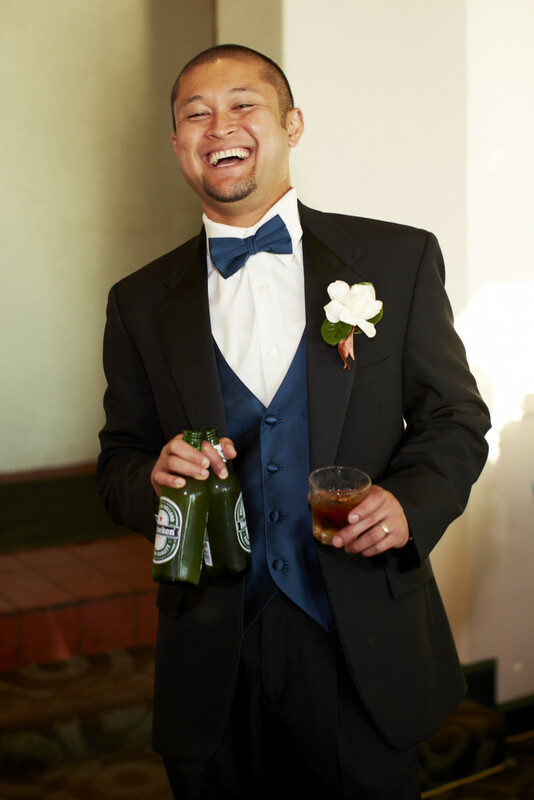 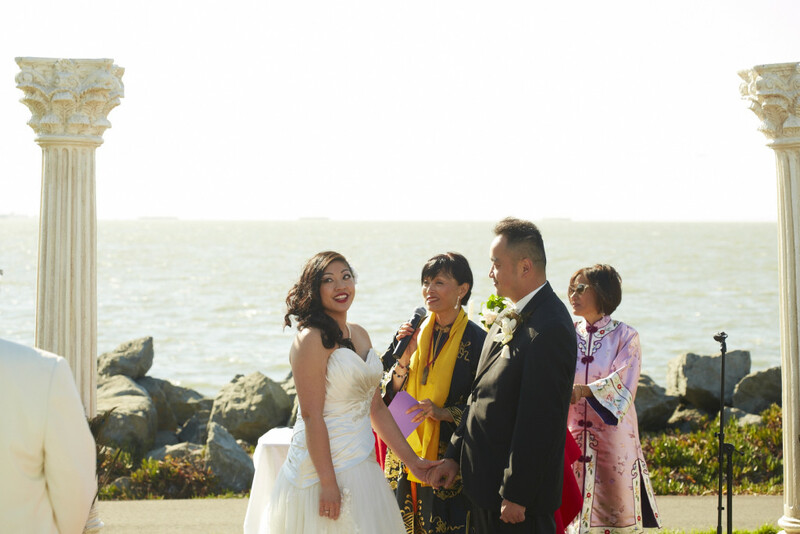 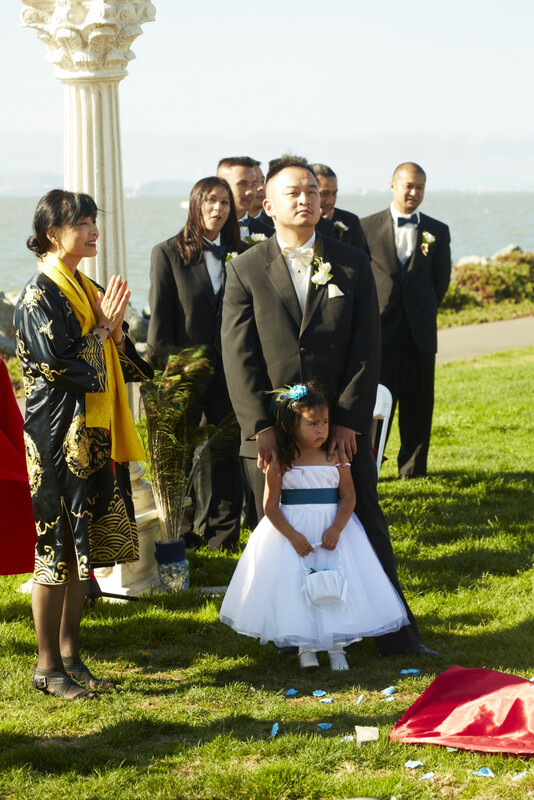 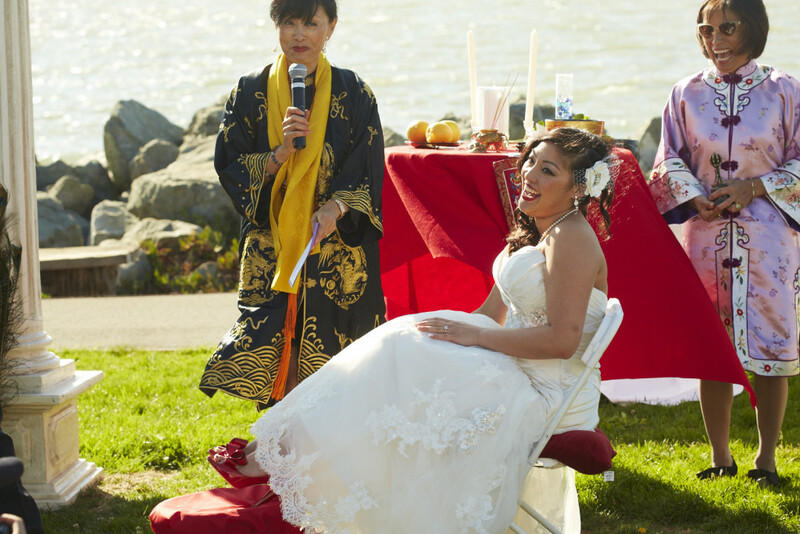 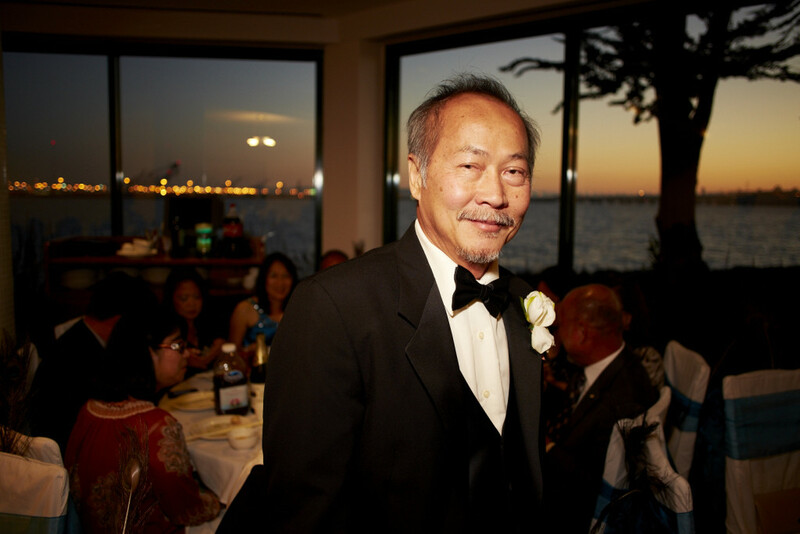 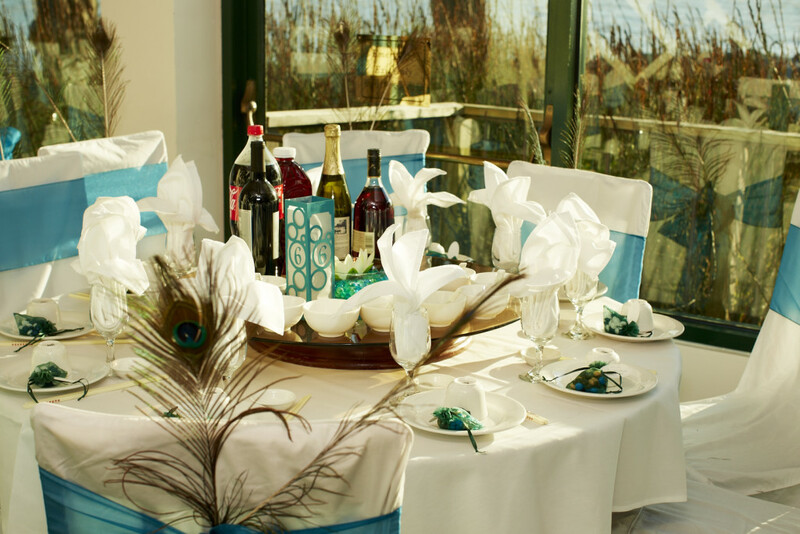 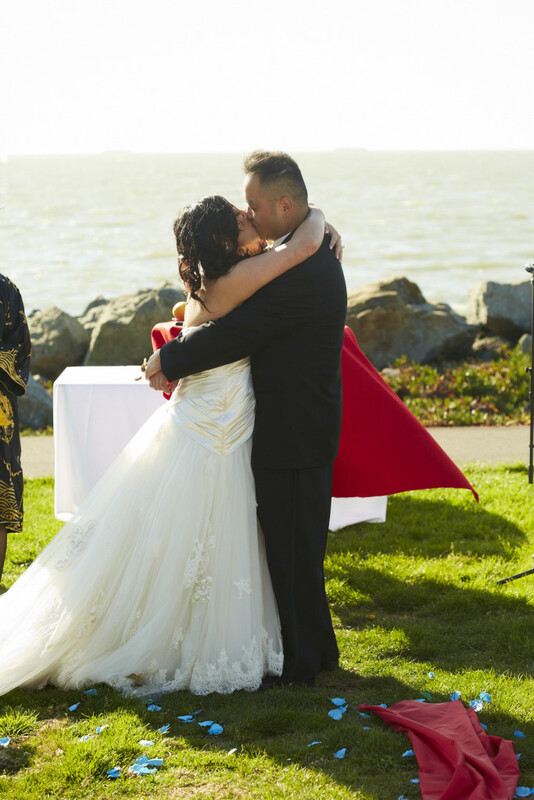 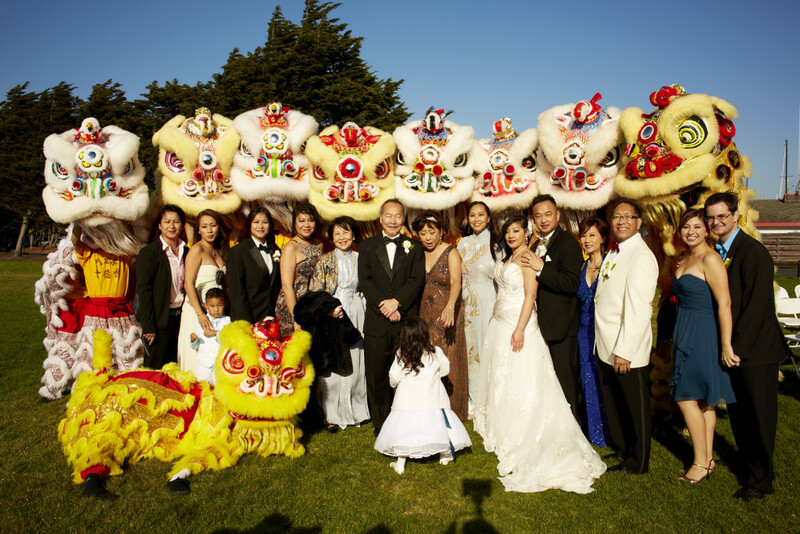 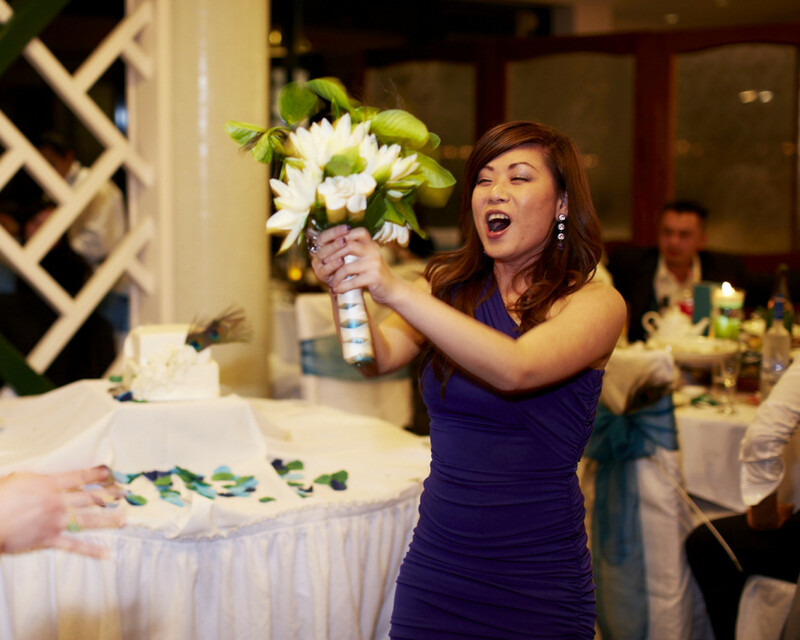 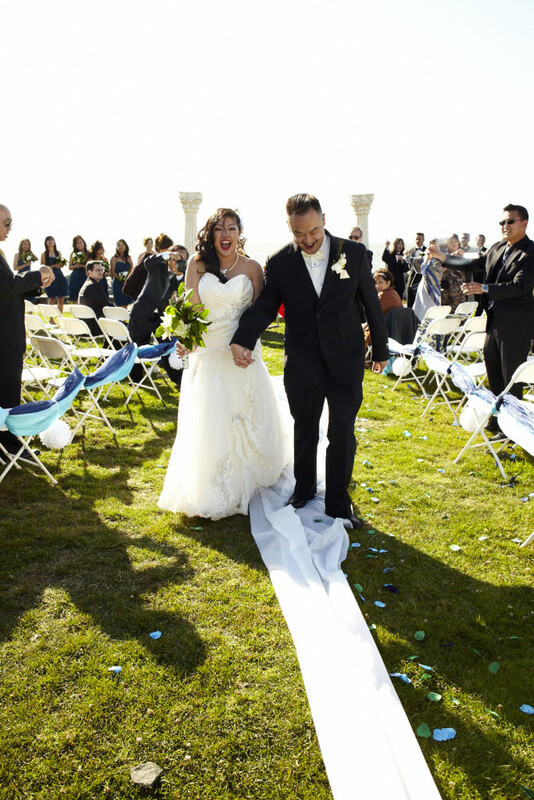 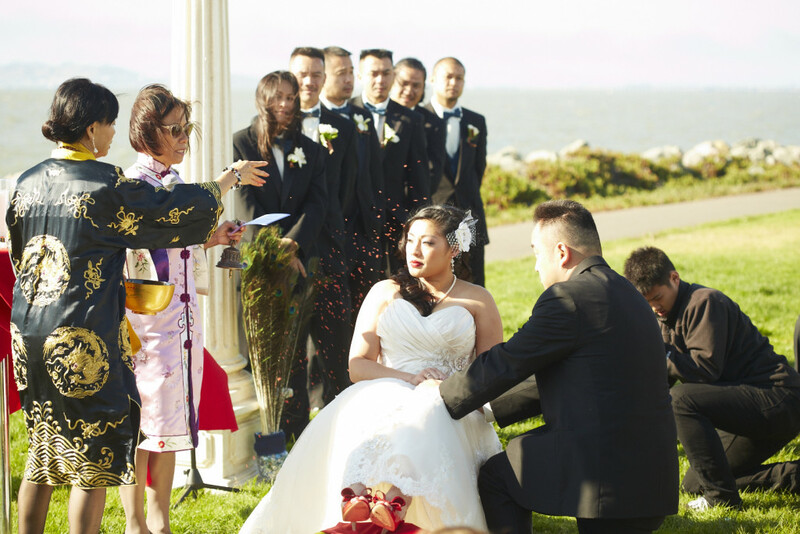 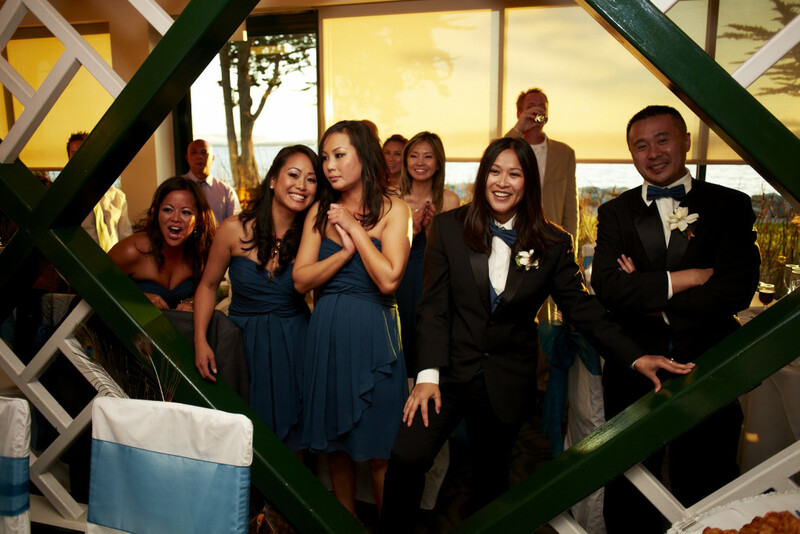 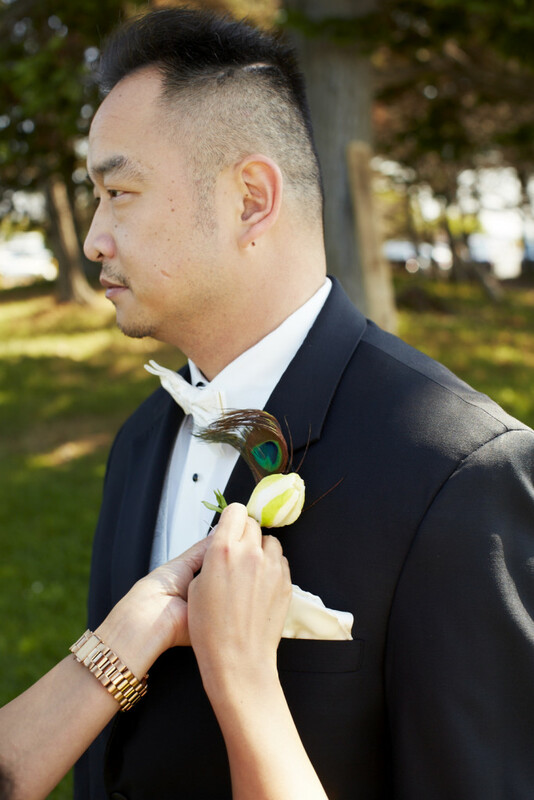 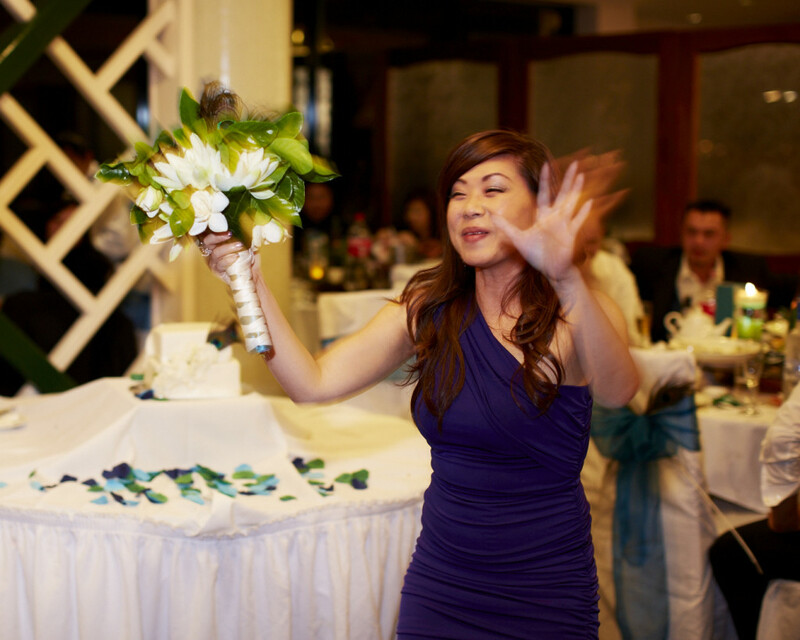 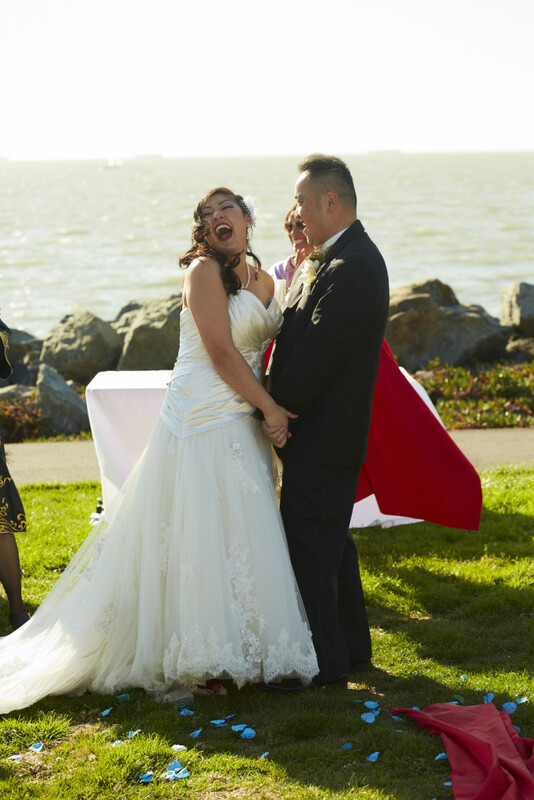 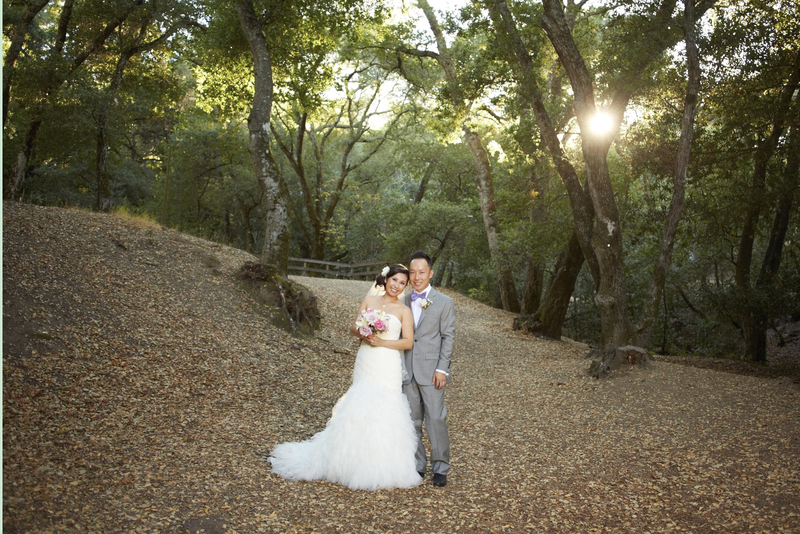 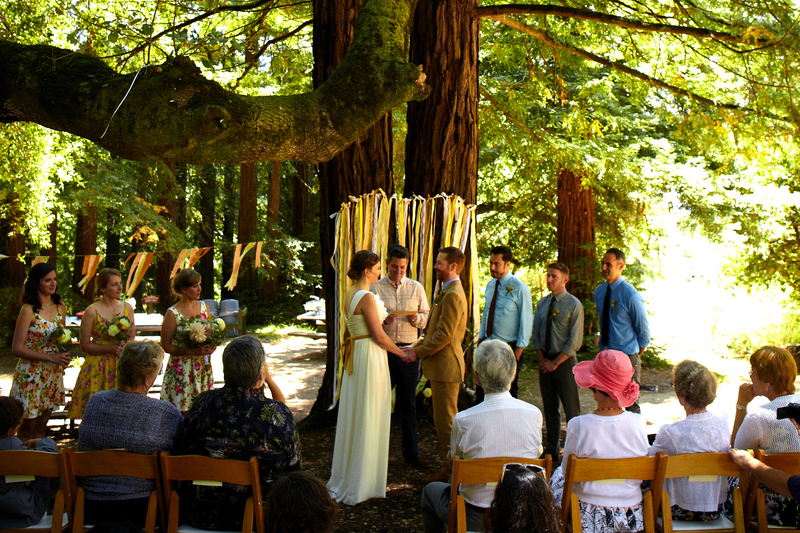 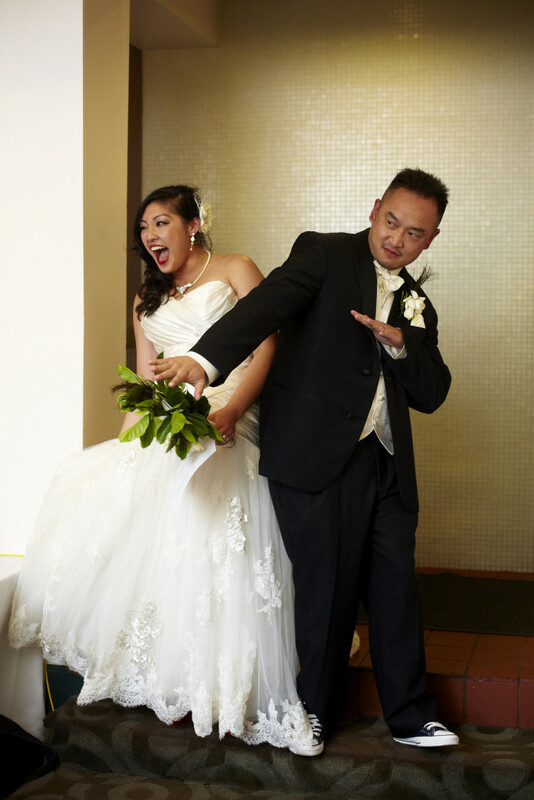 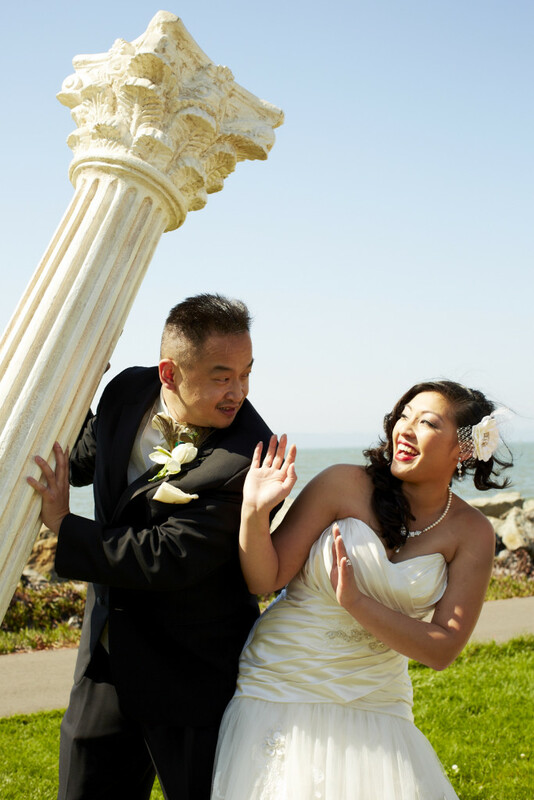 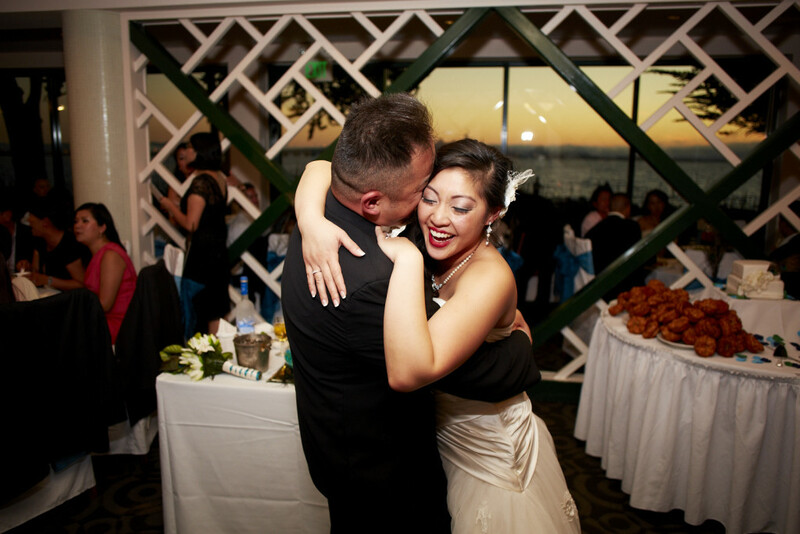 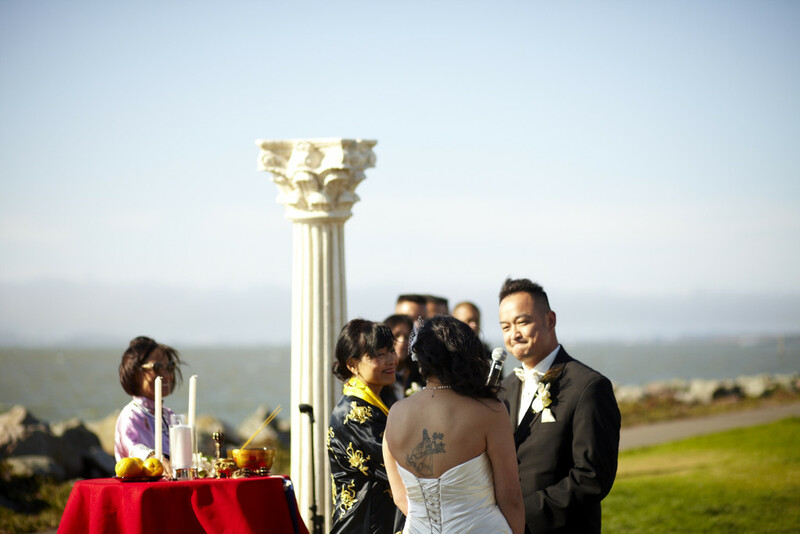 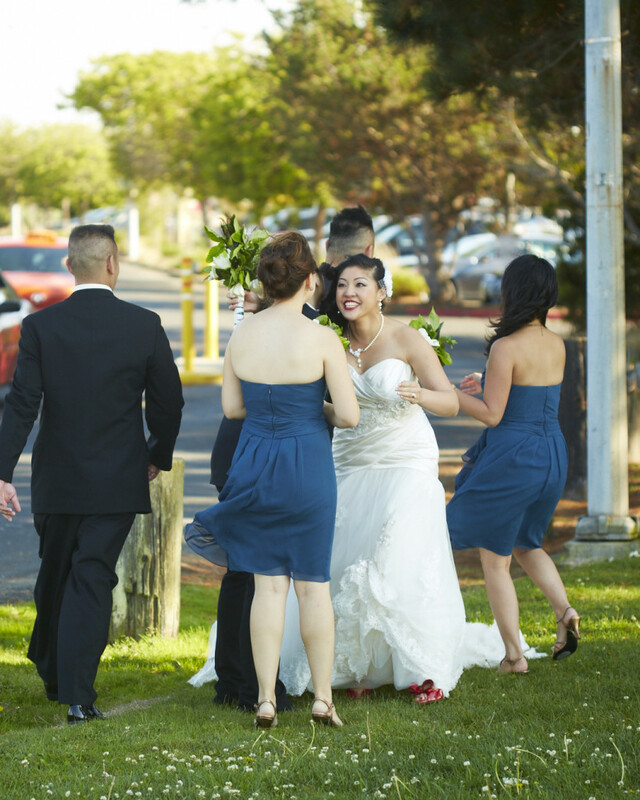 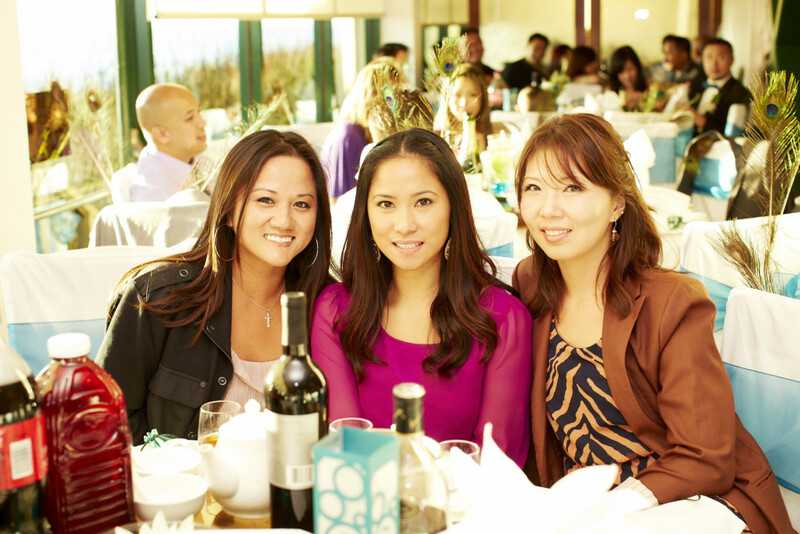 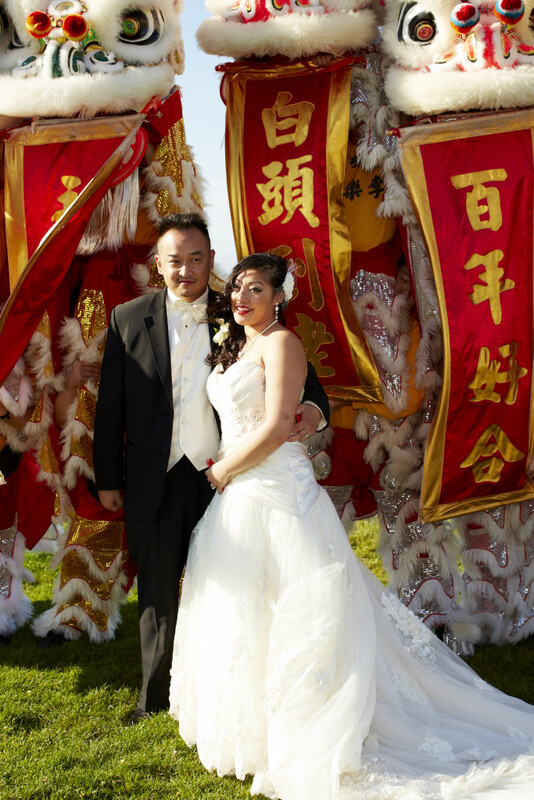 This wedding in Emeryville took place with the bay on one side and a marina on the other. 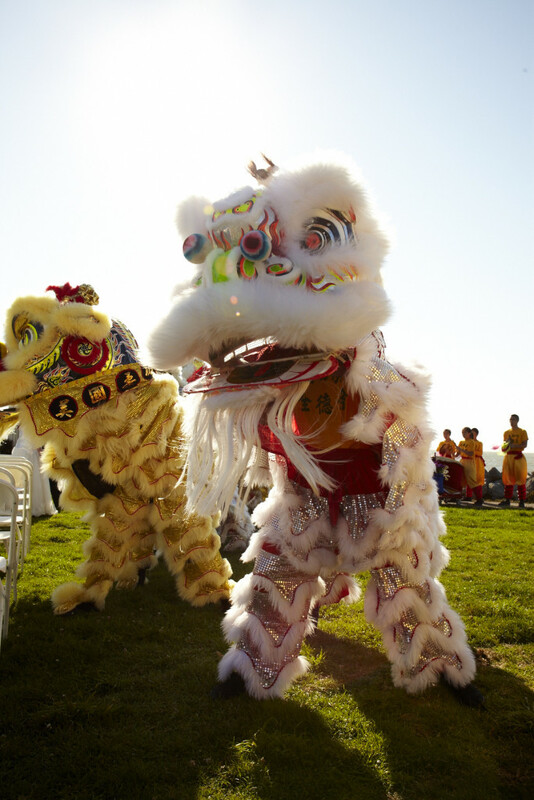 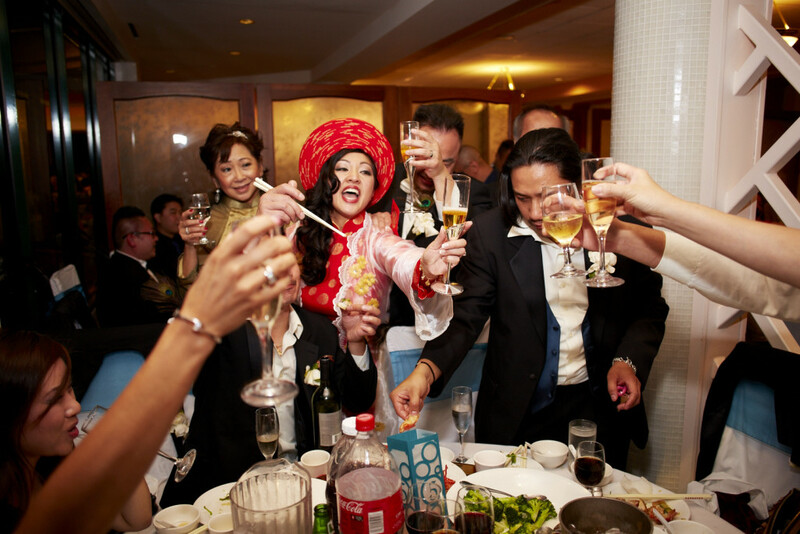 The Buddhist ceremony was followed my a performance of dancing dragons with a reception at the Hong Kong East Ocean restaurant. 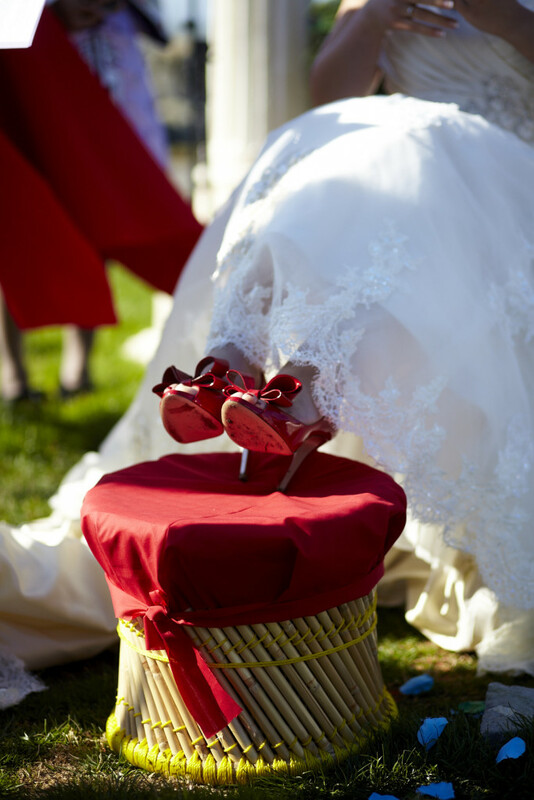 Note the shoe change. 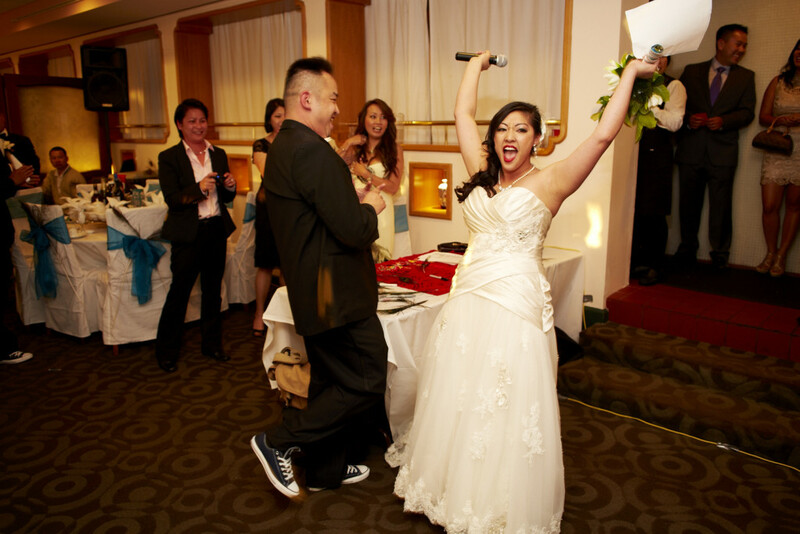 Those are some clean Chucks. 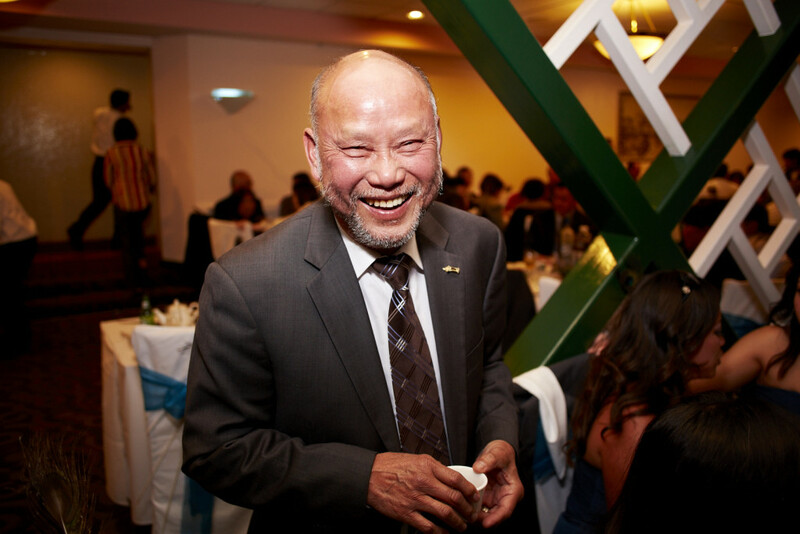 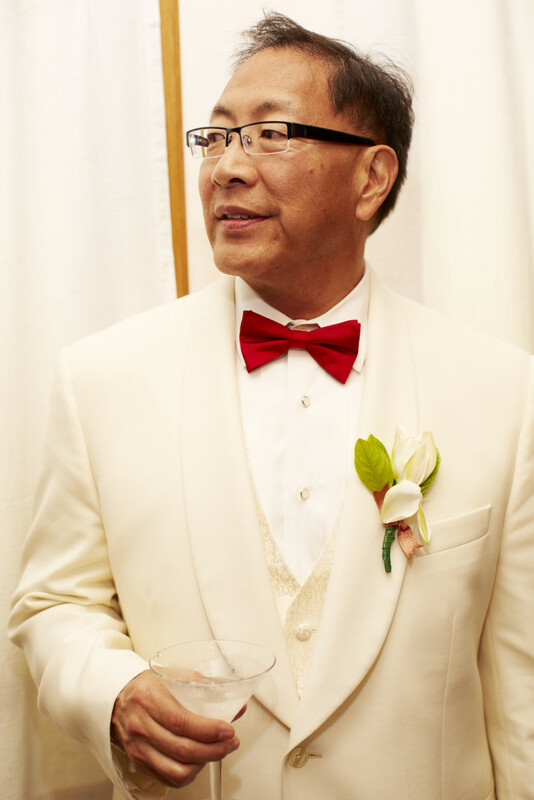 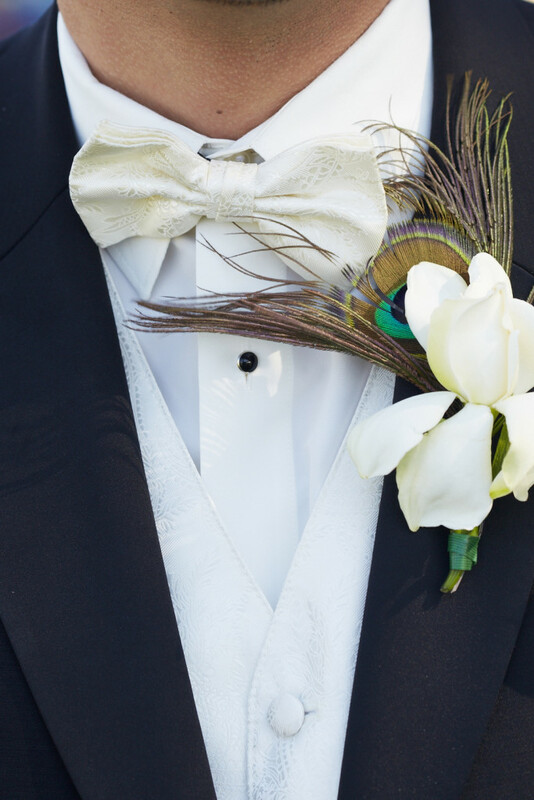 Dad looks great in his tux. 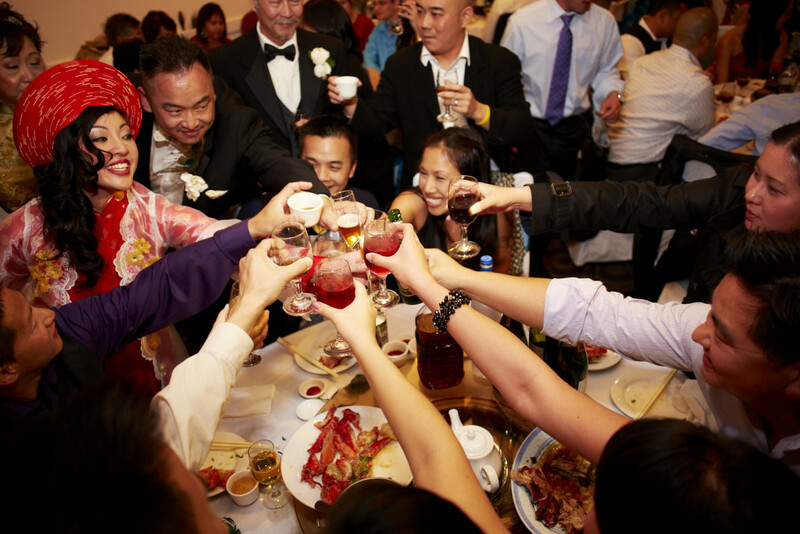 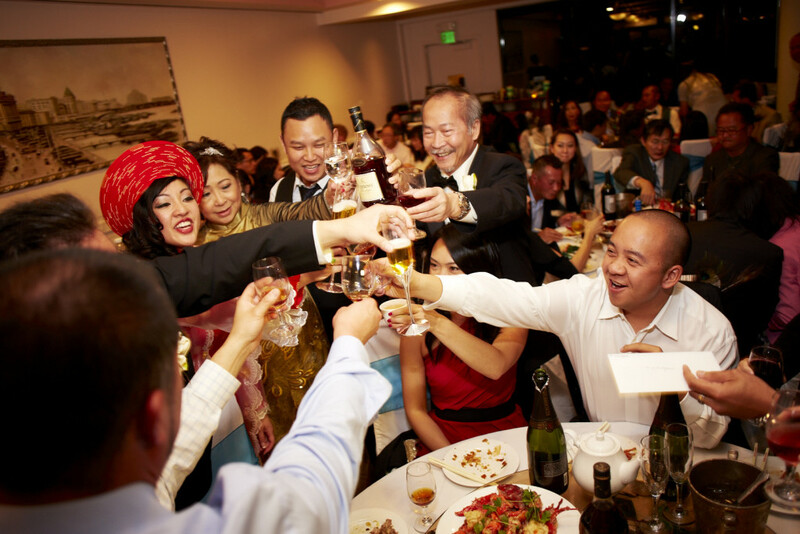 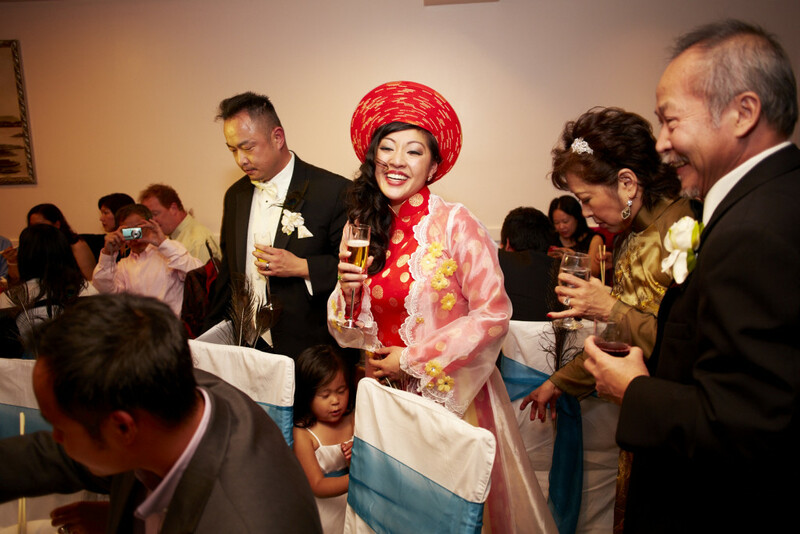 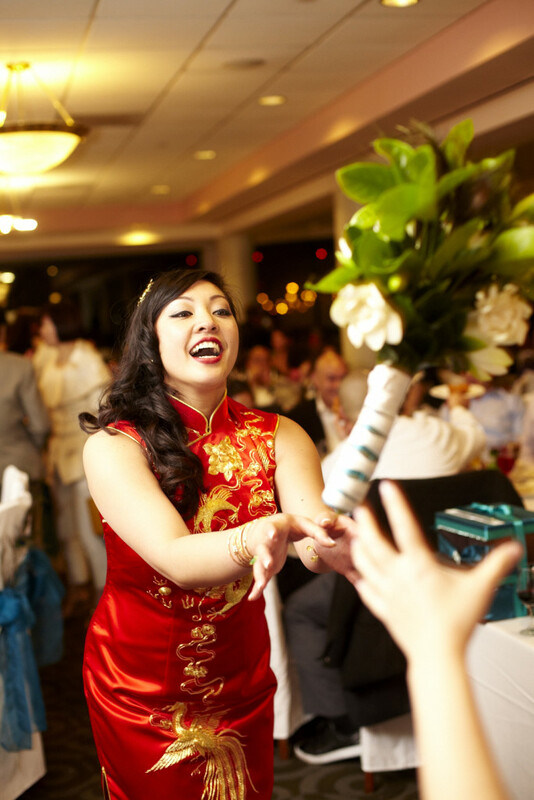 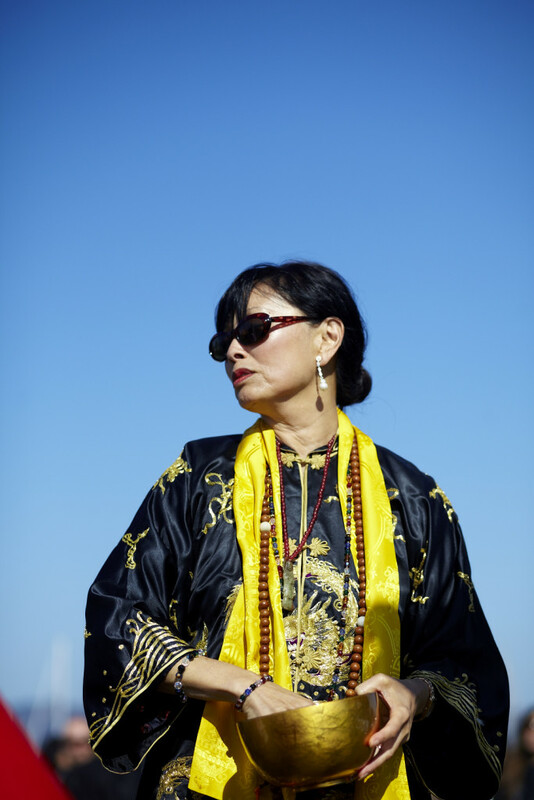 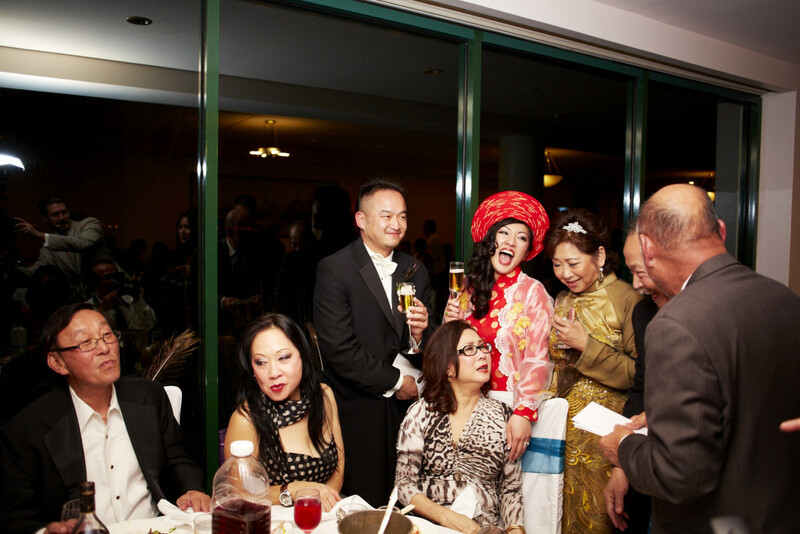 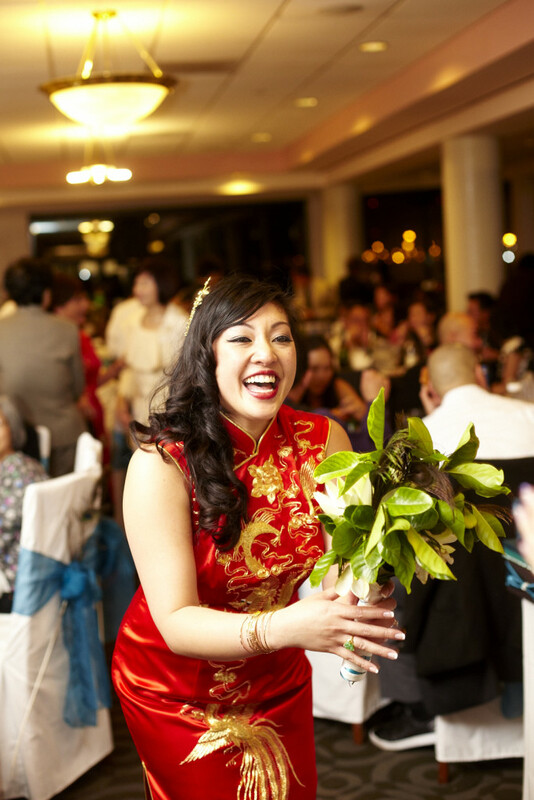 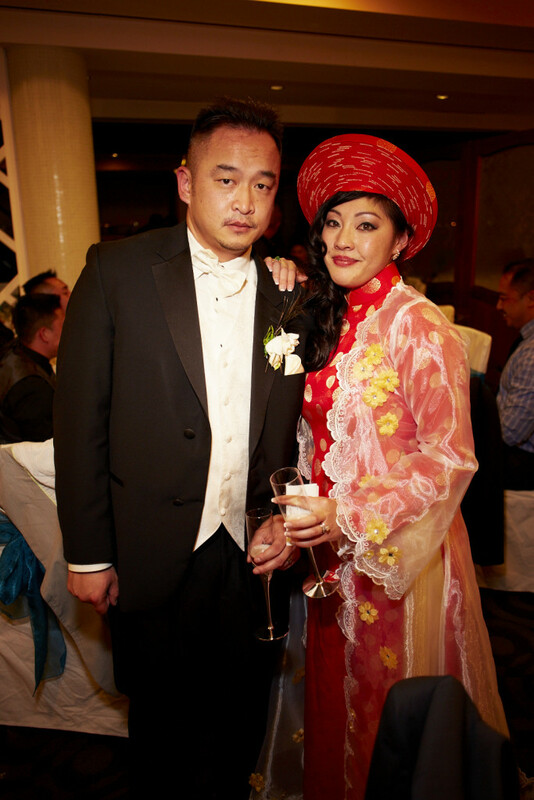 Outfit change to a traditional Vietnamese dress before table toasts. 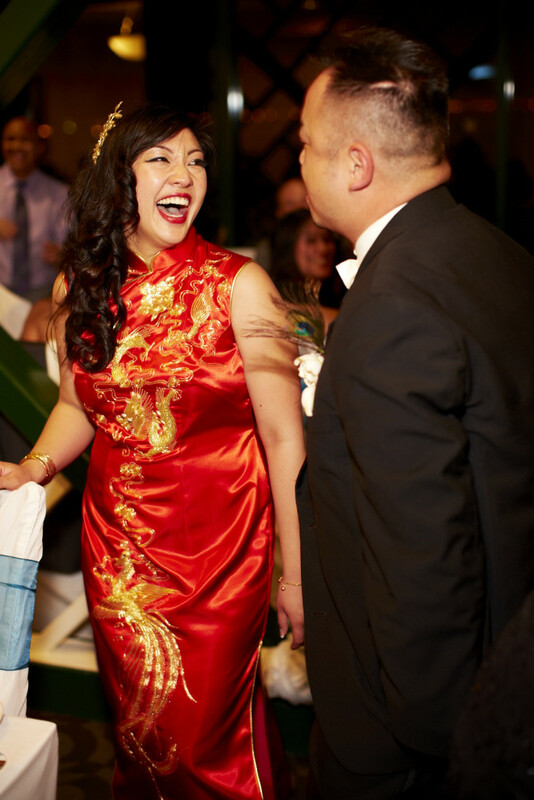 Outfit change to a traditional Chinese dress to close out the night.